Although I am not a citizen of Venango County, I do consider the area to be my second home. Over the past 10 plus years of my life I have been taking advantage of the county’s recreational activities. More recently, I have been weaving myself in to the area’s fabric as a business owner who works with many clients in the area. Venango County is rich with opportunity for recreational activities. I was part of a hockey league for many years and was able to meet some great people as well. There are countless other recreational outlets in the area whether it be playing in a softball league, hiking or biking the trails, or enjoying a day on the river. Many may take these opportunities for granted, but the ability to walk out your front door and be on the water or on the trail within minutes is something so many will never be able to experience. As an “outsider” I was welcomed with open arms to the business community in Venango County. 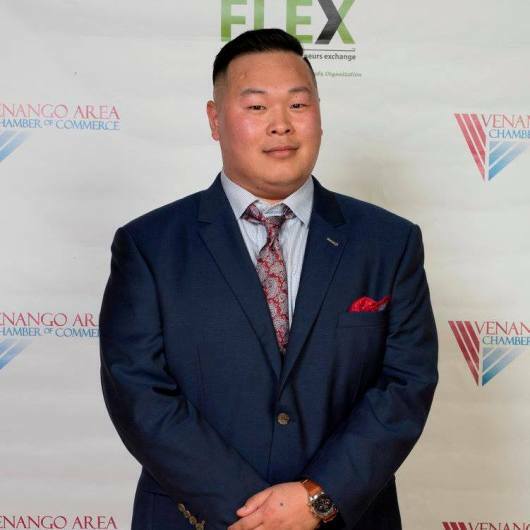 Other business owners as well as the Venango Area Chamber of Commerce have been instrumental in providing me the opportunities and connections necessary to grow my presence in the area and build a name for my business. Through these connections, I have been fortunate enough to meet people who have helped me grow professionally, and for that I am forever grateful. I have also been so very fortunate to be provided the chance to volunteer in the community. There never seems to be a shortage of opportunities to volunteer; whether it is for a community event, or an organization in the area. There is often a stigma where it is thought that talent leaves small towns to be recognized; that staying in a small town is career suicide; that not leaving for the big city means you are lazy or not ambitious. I have witnessed firsthand just how untrue that stigma can be. Now, more than ever, you have people of all ages coming back “home” to the oil region. They are returning to find success, culture, and everything else that was said to not exist in a dying region of Pennsylvania. I cannot even begin to describe how much it means to me to “Be Here” in Venango County. Take some time to think about all the things that really make this area great. Then, go out and take advantage of those things! Hopefully I see you around; and whether it is for business or recreation, you can be sure that it will always be as great day to “Be Here”.